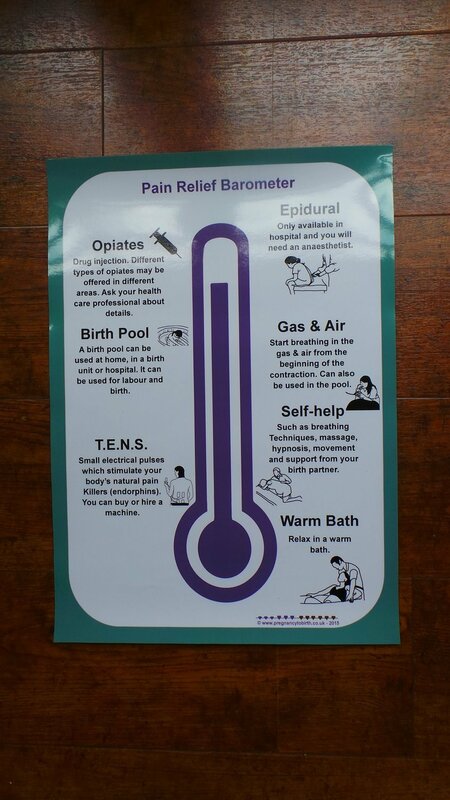 A3 poster - Pain Relief Barometer. Paper 210gsm. Dry wipe laminate. Great visual to show how strong / effective the different options for pain management in labour and birth are.